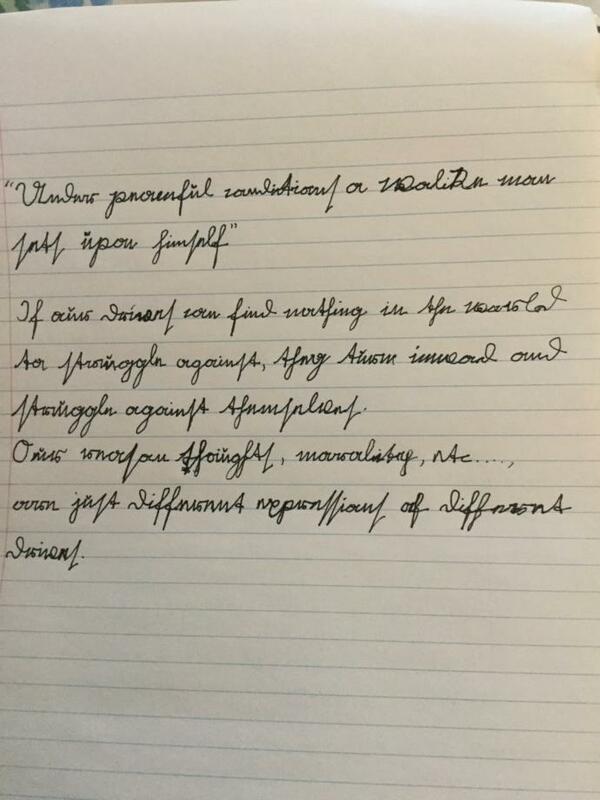 What do you think of my handwriting? is it any good? Also, what do you think of this quote from Nietzsche? It’s pretty good. And Nietzsche is pretty cool. Apparently some people believe it’s messy. It’s not that good, but mine isn’t too much better either. I think it's cute. I like the soft and rounded lines. Also very readable. Have you ever been a beneficiary of a Will? Who are you when no one's looking? Happy International Bat Appreciation Day (11:50AM US). Do you like bats? What is your favorite color? Have you ever been had an "accidental jackass" moment? ahah, I personally couldn't read anything. are we sure that it's english? i want to learn writing this way! Thats nice quote i haven't heard for it, but i have always tought the same. me too, moj mladi srpski prijatelj. It explains the impact of modern monotonous life on our psychology. We are soft grandchildren of warrior grandfathers, and it's not healthy for our pshchology. Your PRINTING is very nice. That quote. That's my mood right now wow! my god, your hand writing looks perfect and way better than mine. The Spring Garden's Tea Time What do you think of when you think of the red? 10 Benefits to Why a Girl Shall Stay Virgin Until Marriage! Relationship Advice Everyone Needs To Know! 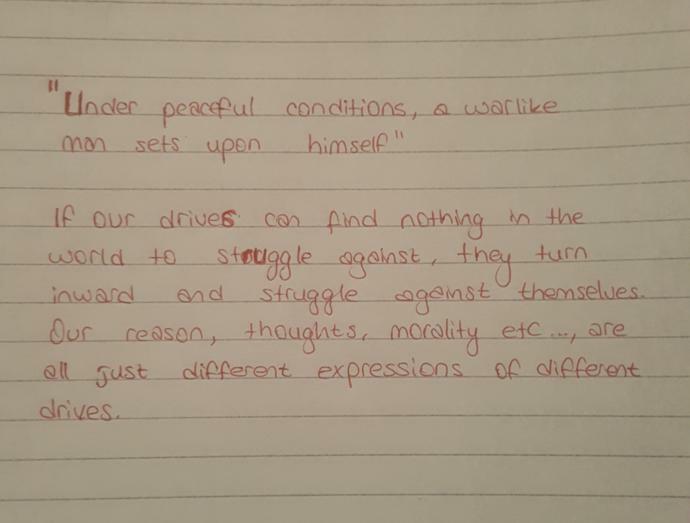 What It's Really Like to Be an "Ugly Woman"
Home > Other > What do you think of my handwriting?